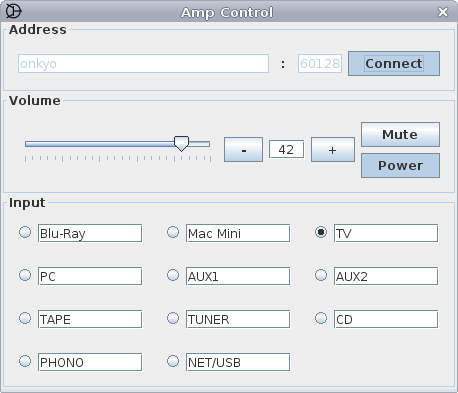 AmpControl is a Java application to control an Onkyo receiver or amplifier over the network. 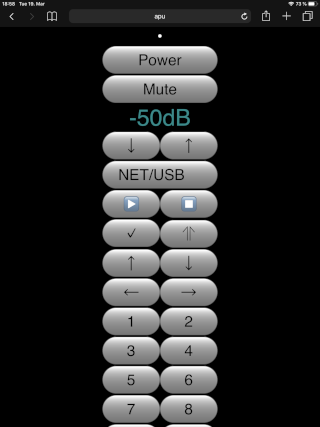 ampcontrol is a Node.js application which fulfills the same purpose. power on/power off the unit.